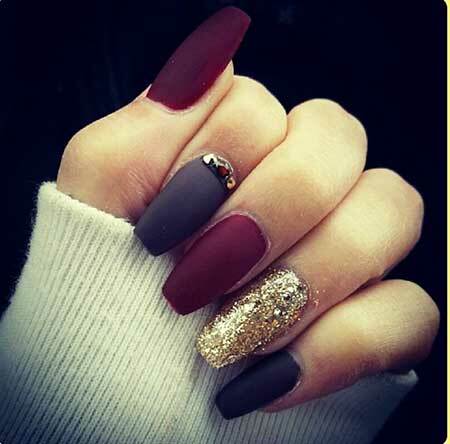 Every ladies loves red and every shades of red. 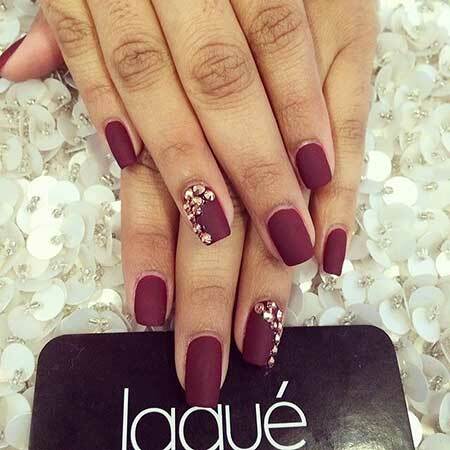 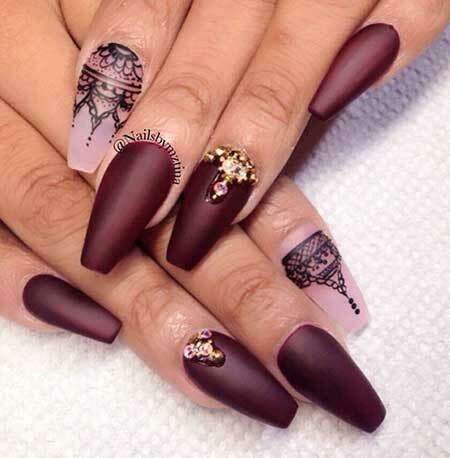 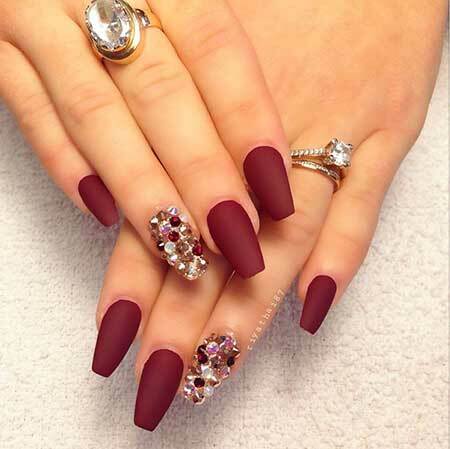 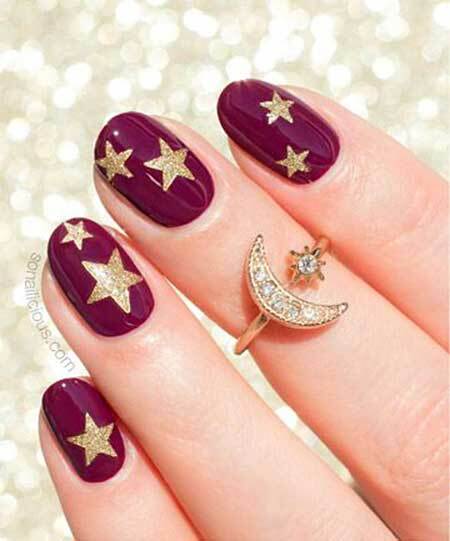 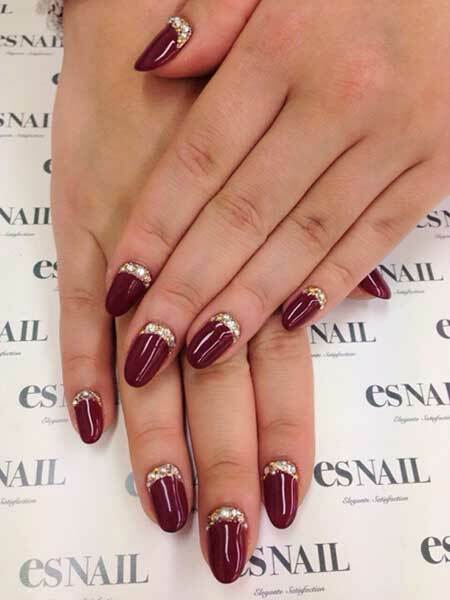 If you one of them, red-lover, these burgundy nail designs will amaze you! 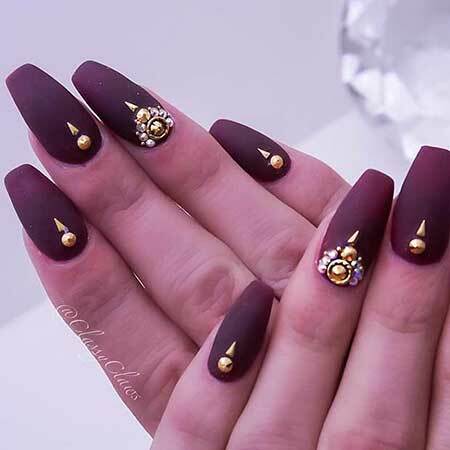 There are geometrical nail arts with matte nails also if you love glossy nail polishes you can find here best examples about these nail designs. 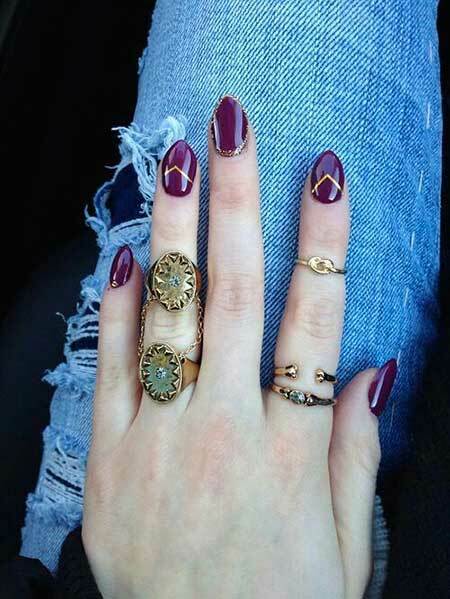 And there is a great detail that should not be missed, gold colors and shines! 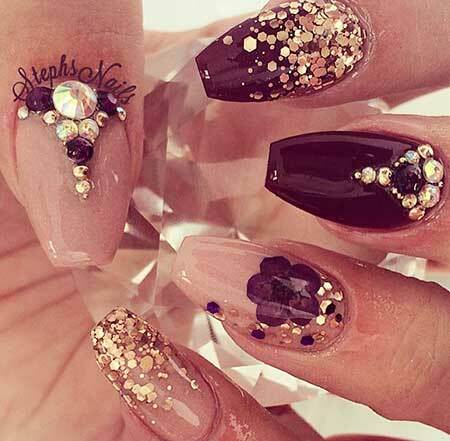 If you love golden nail arts, these combinations totally for you ladies! 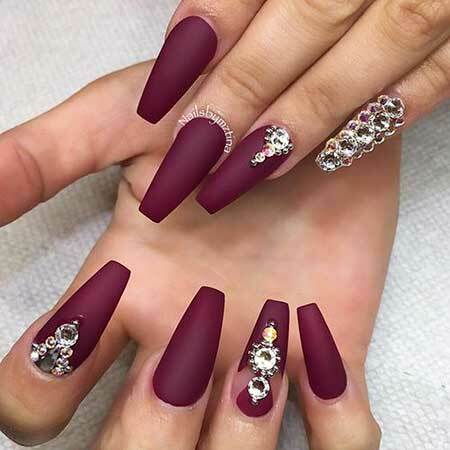 Stiletto nails looks amazing with this color also coffin shape is a great choice too. 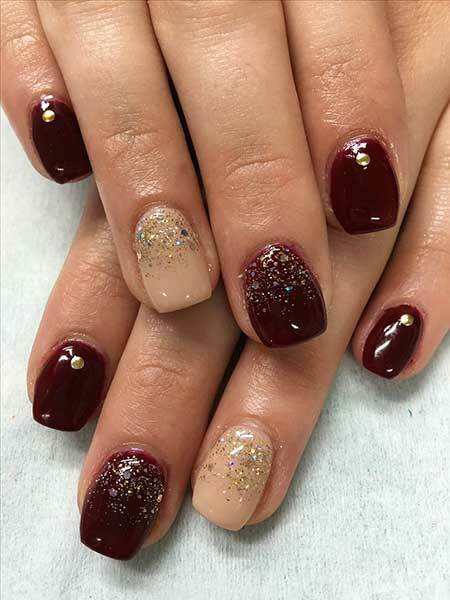 Also you can see gold colored arts in this gallery, red and gold’s great combination! 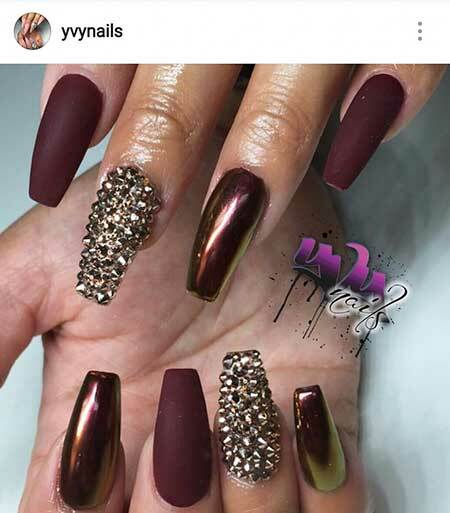 Just scroll down and pick your nail design for this summer 2017! 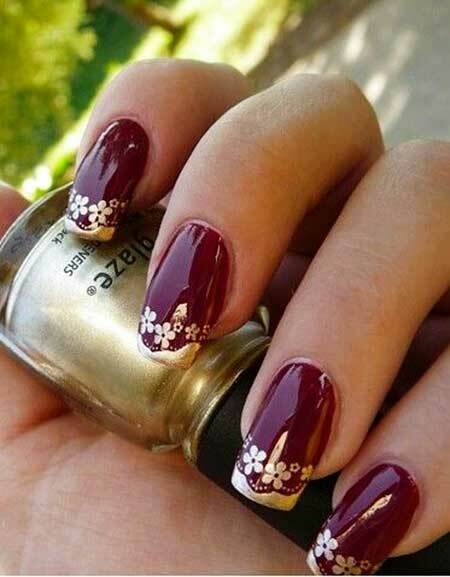 Simple long square shape nails with golden flowers is a great cohice for your wedding! 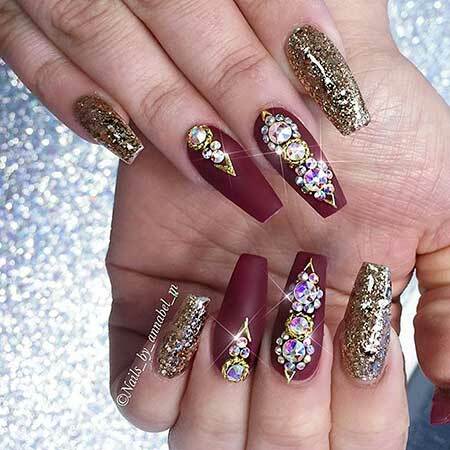 Big glitters and amazing rhinestones! 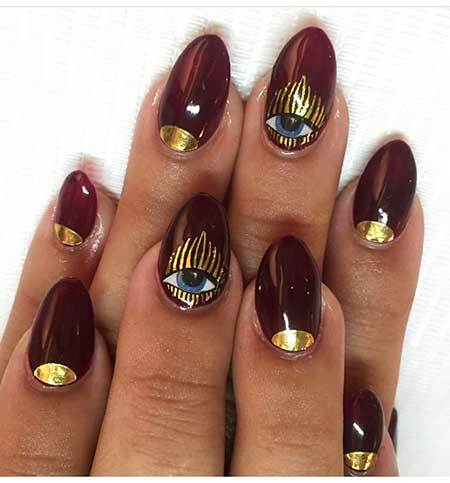 Looks totally eye-catching and you can prefer this style on your special days and events. 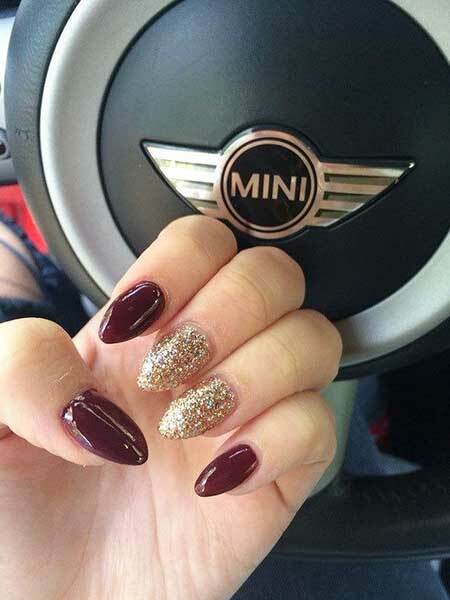 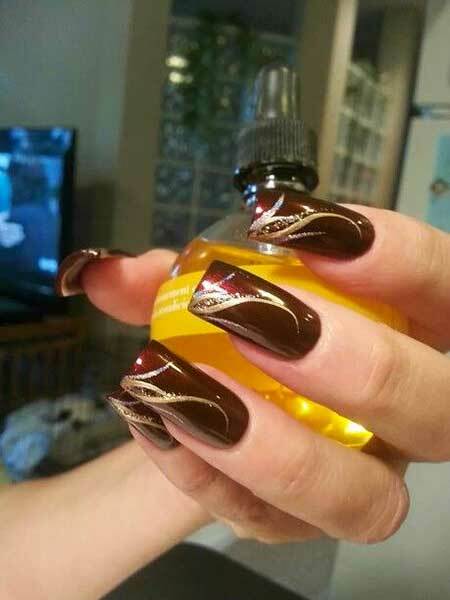 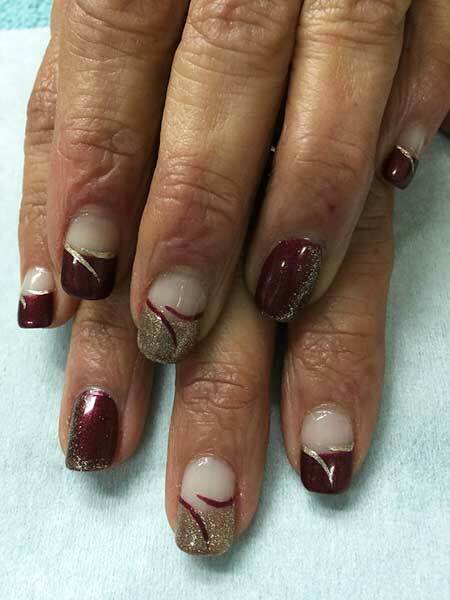 Shinny golden nail polish and burgundy’s mix totally stunning and simple design. 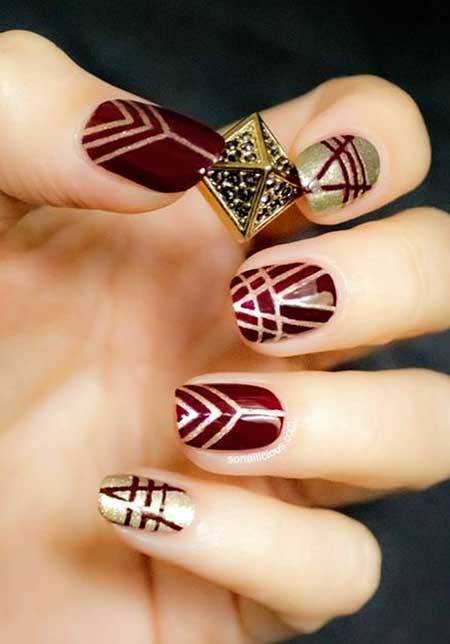 Just solid line and create a unique cool style on your nails! 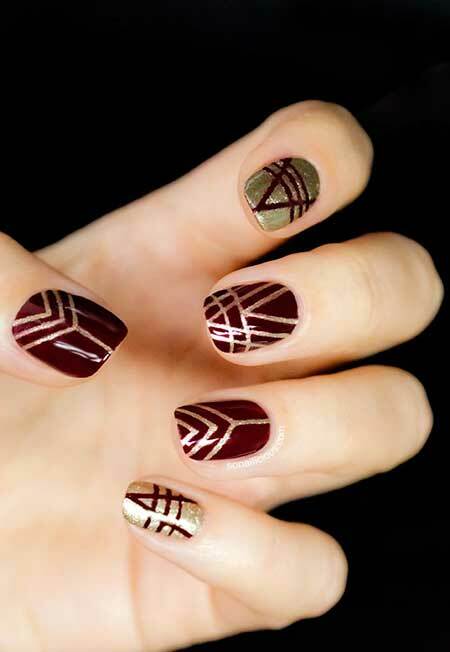 If you love geometrical designs this one totally chic and attractive ladies. 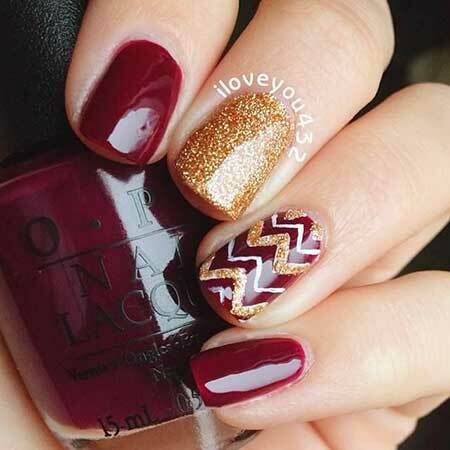 You should try this nail art!